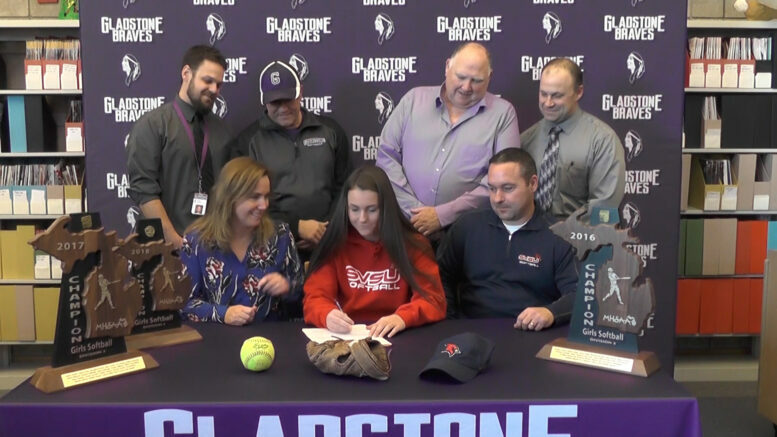 GLADSTONE – November 14th is National Signing Day and one Gladstone softball player is taking her talents to the Division 2 level. Sydney Herioux signed her National Letter of Intent to play softball at Saginaw Valley State. This past season, the senior made the All-State Honorable Mention team, as well as the All-Region and All-District teams. Herioux plans to study accounting at Saginaw Valley.